Tofu is the Japanese name for soybean curd. 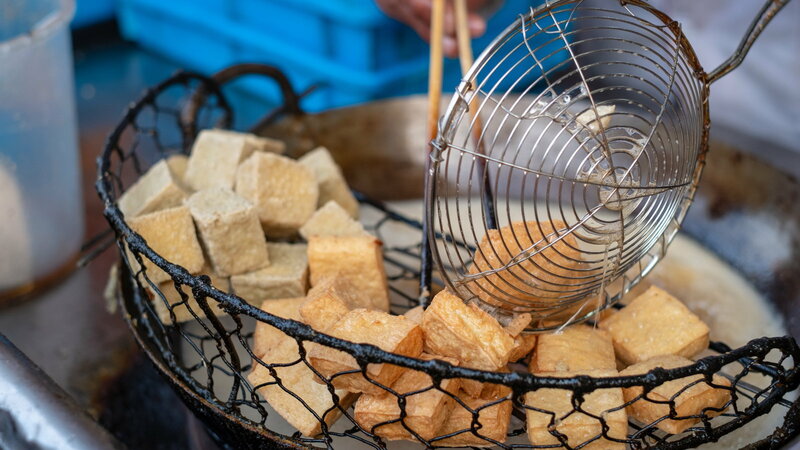 Dating back to its use in China around 200 B.C, tofu is believed to be the first processed food. Today, it is a dietary staple throughout all of Asia. Tofu is a relative newcomer to the USA. Established in 1906, Quong Hop in San Francisco claims to be the first tofu shop in America. Today, it's found in nearly all health food stores and is fast becoming a common item in most grocery stores too. So why is tofu so popular? Along with being a very versatile food to cook with, tofu is incredibly healthy food. It is a great source of high-quality protein. 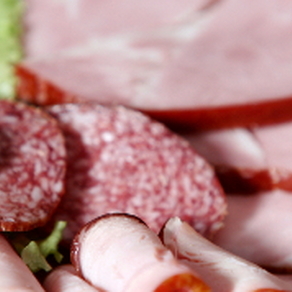 It is also a good source of B-vitamins and iron. In most cases, the curdling agent used to make tofu is calcium salt, which makes tofu an excellent source of calcium. In addition, some scientists have found that people who consume diets high in soy have significantly lower rates of heart disease, osteoporosis, cancer (breast, colon, and prostate) and fewer menopausal symptoms. It's believed these disease-protecting qualities come from the "isoflavones" found in the soybean plant. Along with all the good press, soy does get some negative press. With so many reports written about soy's health benefits, some people believe more of a good thing would be better. This is not necessarily so. There is some research that indicates that "megadoses" of isoflavones may not be healthy, but most of this research is concerned with supplement pills containing large amounts of isoflavones, not the natural levels of isoflavones found in soybeans (and thus tofu) which are rather low. We believe the best way to get nutrients is the natural way - in foods like tofu, not with pills. If you thought tofu was simply a vegetarian substitute for meat, we'd encourage you to embrace a broader opinion of this food. Tofu is much more than just a good source of protein. Age to introduce: 8-10 months in babies - the silken type, mashed or the soft type cubed as finger food (look out - it is slippery!). To reduce the slipperiness of tofu cubes, toss them with crushed graham crackers or Cheerios. Allergy note: Soy allergies are common. 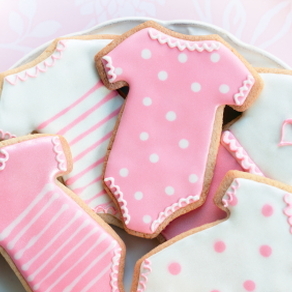 Introduce tofu as the only new food in your baby's diet for 3-5 days. If you notice an allergic reaction, remove it and talk to your health care provider. At the market: You'll find tofu in the refrigerated produce section of the market, although some stores sell it in the dairy or deli sections. Tofu is perishable, so check the expiration date on the package. Firm tofu is solid and holds up well in stir fry dishes, soups, or on the grill. This is a great choice if a recipe calls for marinating tofu. Soft tofu is a good choice for recipes that call for blended tofu, or in oriental soups. Soft tofu doesn't hold up well in more "rigorous" cooking methods. It is more delicate and will fall apart easily. Silken tofu is a creamy, custard-like product and works well in pureed or blended dishes. Silken tofu often used for dips, dressings, sauces, and desserts. Baked tofu is pre-marinated tofu that has been baked. It is available is a variety of flavors. It is great for sandwiches, salads, and on the grill. Storage: Once the tofu package is opened, it should be used within 2-3 days. 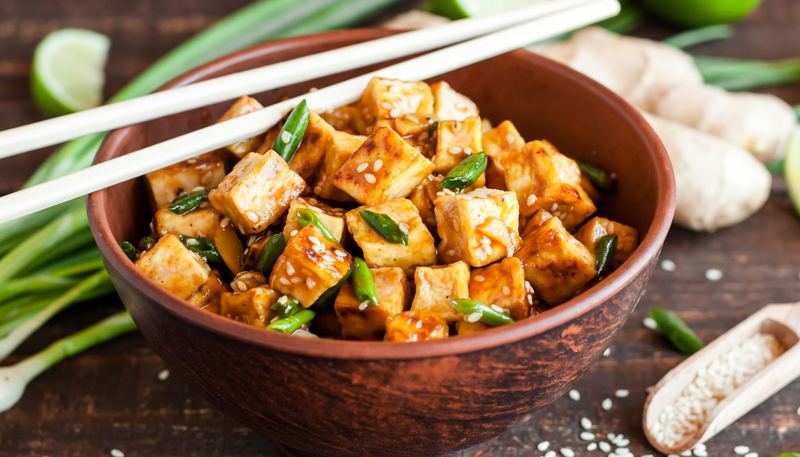 To store leftover tofu, rinse and cover it with fresh water. Change the water daily to keep it fresh. Preparation: Tofu is like a sponge. It has very little flavor of its own, and it will pick up the flavors of the ingredients it is cooked with. 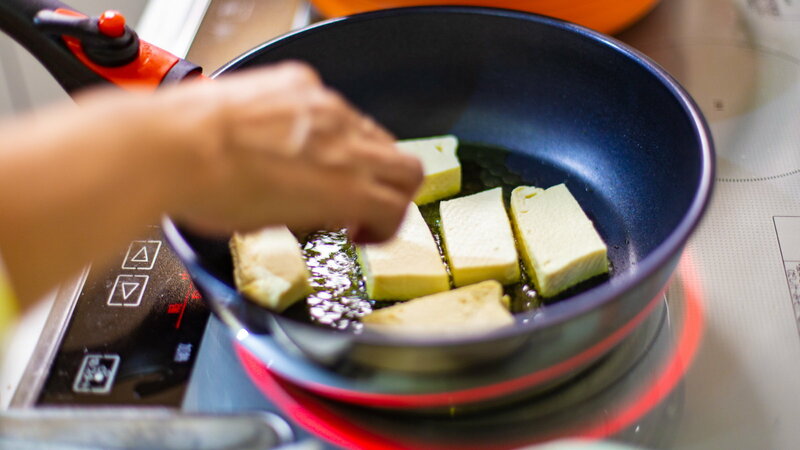 For the best results in cooking, drain tofu before using it. Removing the water will allow the tofu to absorb more of the flavor of the dish. Here are two quick methods to drain the water from tofu. - Pour off the water and wrap the tofu in a clean cotton dish towel, weigh it down with a plate. The towel will absorb most of the water within 30 minutes. Note: The silken and baked tofu varieties do not need to be drained. Add cubes of firm tofu to soup, stew, chili, and stir-fry recipes. Mix small cubes or crumbles of firm tofu into a meatloaf recipe. Marinate tofu slices in barbecue sauce, char it on the grill and serve it on crusty French bread or with homemade cornbread. Marinate firm tofu cubes in teriyaki sauce, thread the cubes on a wooden skewer with onions, peppers, and mushrooms. Cook on a BBQ grill or in a grill pan. Follow the instructions on a package of taco seasoning, and substitute firm, crumbled tofu for ground beef or use a mixture of tofu and ground beef to make awesome tofu tacos. Substitute firm tofu for ricotta or cottage cheese that is called for in your pasta recipes - tofu is wonderful in lasagna. Mash soft tofu with cottage cheese, avocado, chopped cilantro, a dash of lime juice and salt and pepper to make a delicious sandwich spread. 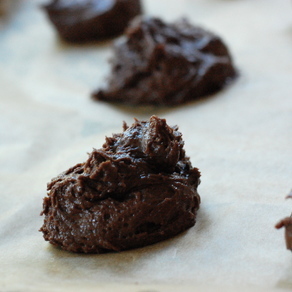 Blend a package dried dip mix with soft or silken tofu or use a mixture of sour cream and tofu for healthier party dip. Replace all or part of the cream in creamed soups with silken tofu. Prepare instant Miso soup (available at Asian markets of health food stores), just before serving add 8-10 small cubes of soft tofu to each bowl. It will taste just like it does when served in a sushi restaurant. Blend silken tofu with a touch of soy sauce or tamari and top with chopped scallions. Serve this dip with rice crackers for a simple and authentic Japanese appetizer. Slice baked tofu and use in place of cold cuts or cheese in sandwiches. Top a green salad with small cubes of Asian-spice flavored baked tofu and packaged crispy rice noodles. Toss the salad with a bottled ginger vinaigrette. Thread baked tofu cubes on a skewer with mushrooms (preferably shitakes). Char on BBQ grill or in a grill pan. Sprinkle with chopped chives or green onions and serve on a platter for a great summer side dish or appetizer. These simple popsicles are the perfect refreshing solution! For variety, change the flavor of the pops by adding different fruits. You can purchase a Popsicle mold at a grocery store, Target or online. If you don't want to invest in a Popsicle mold, small plastic or paper cups or empty yogurt containers work wonderfully for making popsicles. Add a wooden craft stick for the Popsicle stick. Directions: Combine all ingredients in a blender; cover and process until smooth. Pour the mixture into a Popsicle mold and freeze. Makes about 12 Popsicles. TIP: If you find the mixture to be a tad on the tart side, don't reach for the sugar, add a little sweetness with a tablespoon or two of maple syrup, honey, or fruit spreads. Cheryl Tallman and Joan Ahlers are sisters, the mothers of five children and founders of Fresh Baby ( www.FreshBaby.com ). They are the creators of the award-winning So Easy Baby Food Kit and Good Clean Fun Placemats, available at many fine specialty stores and national chains including Target and Whole Foods Markets.